Charles King and Johnathan Maxwell founded the Northern Manufacturing Company in 1902 in Detroit. 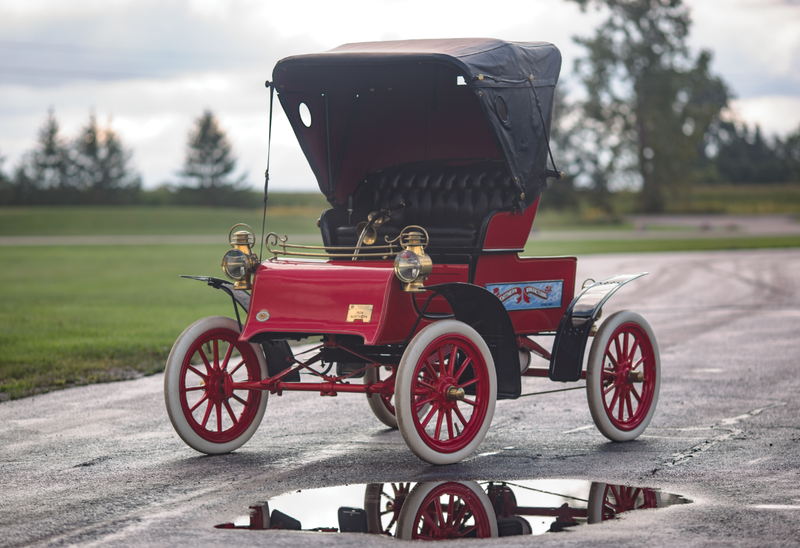 The company’s 1902 offerings strongly resembled the Curved-Dash Oldsmobile – and that’s because Maxwell and King both worked for Oldsmobile before setting out on their own. We’ve featured a 1902 Northern before (as linked to above) and this car looks relatively similar. It’s still powered by a single-cylinder engine. But unlike in 1902 where that engine made only five horsepower, it was upgraded to a downright sporty seven horsepower for 1905. Northern offered two twin-cylinder cars in 1905 as well, which made this the budget offering at $650. Both Maxwell and King would leave Northern to found their own marques and the company closed in 1908. This car is said to retain its original chassis, body panels, and even its rubber flooring. Not many of these are left and this one is about as accurate and original as they come. It should bring between $45,000-$65,000. Click here for more info and here for more from this sale. This entry was posted in Uncategorized and tagged 1905, auctions, cars, classic cars, northern, rm sothebys, runabout by classiccarweekly. Bookmark the permalink.